The events of the last couple of weeks should, however, dispose of any notion that Britain really is the paradigm liberal state that it claims to be. This is despite the fact that, at the time when the first accusations against Russia were made, the investigation of the attack on the Skripals by the British police had only just got underway, and as of the time of writing has still failed to produce a suspect. The Russian authorities had previously pardoned Sergey Skripal and had themselves released him to the British—making any Russian motive for an attack on him difficult to understand. Meanwhile, anyone such as Labour leader Jeremy Corbyn, the leader of biggest opposition party in Parliament, who dared question the rush to judgment, found themselves immediately labelled a “useful idiot” or Kremlin stooge. 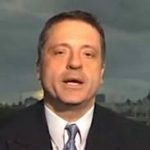 The disclosure that British scientists are unable to confirm that the nerve agent used to poison the Skripals was made in Russia—as opposed to being merely “developed” there—and that other countries such as Czechoslovakia, for example, also manufactured Novichok agents, has had no significant impact on the British government’s or the British media’s reporting of the case. 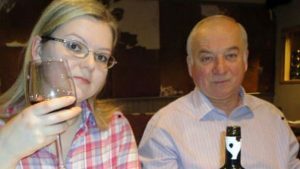 The suppression of all public questioning of the theory (as of the time of writing it is still only a theory) of Russian guilt has now been followed up by the effective disappearance of the two victims of the attack: Sergey and Yulia Skripal. Not only have the British flatly refused the Russians consular access to them—violating both British and international law in the process—but after announcing news of their unexpected recovery, British authorities have ensured that no-one, not even members of their own family, has had access to them either. There is no word of their condition or whereabouts, and, more troubling still, no discussion in the British media of what has become of them or that they have to all intents and purposes disappeared. If the handling of the Skripal case is troubling enough, the British government’s decision to involve Britain in Washington’s recent military strike against Syria is arguably more troubling still. The pretext of the strike is an alleged chemical weapons attack which the Syrian authorities are alleged to have carried out against the rebel-held town of Duma, which is located in the East Ghouta area near Damascus. The site of the alleged attack has since been secured by the Syrian and Russian militaries. Syria and Russia have both invited inspectors from the Organisation for the Prohibition of Chemical Weapons (OPCW) to inspect the site to establish whether or not a chemical weapons attack actually took place. Yet notwithstanding that the OPCW was about to launch an investigation, which would have involved a site visit, and despite overwhelming opposition from the British public, only 20 percent of whom favoured a strike, the strike nonetheless took place with full British participation and without the British parliament being consulted in advance. Moreover the British government made little secret that its decision to break convention and disregard Parliament was because it knew in advance that it would lose a vote if the decision to participate in the strike was ever put to a vote. Though such conventions do not in theory have the force of law in Britain, since Britain’s constitution (unlike the U.S. constitution) is largely unwritten, they are almost invariably treated as if they did. Not so in this case. British reporting of the Syria strike was strictly circumscribed, so much so that publicly questioning the claim that a chemical weapons attack took place or arguing that nothing should be done before the OPCW completes its investigation, or that Parliament should have been consulted before a military action, rendered one, like in the Skripal case, a “useful idiot,” “conspiracy theorist” or Kremlin stooge. The third scandal—actually two scandals which have evolved together—is, however, the most revealing and interesting of the lot. Over the last few weeks, both the Conservative and the Labour parties have been targets of accusations of racism. In the case of the Tories the allegations stem from what is called the Windrush affair. As is true in most Western countries today, Britain has witnessed over the last decade a strong swing in public hostility against immigration. Much of the opposition to the European Union in Britain is driven by the British public’s belief that it is the EU that has made the increase in immigration to Britain—which has undoubtedly taken place over the previous two decades—possible. 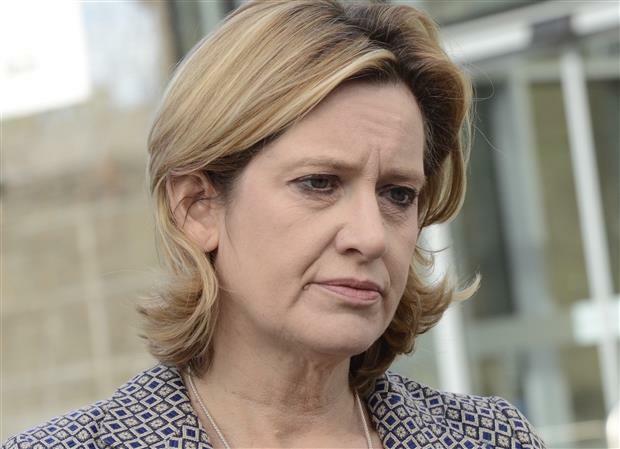 Rudd: Forced to resign. But May survived. The Conservative Party, since it came to power in 2010, has sought to respond to this sentiment—much of which has clearly racist undertones—by taking a strong anti-immigration position. The point figure is British Prime Minister Theresa May, who as home secretary (the minister responsible for control of borders and the police) introduced and implemented what is semi-officially called a “hostile environment policy” towards immigrants who have not managed to sort out their status. The idea is to put as many administrative and other obstacles in the path of these people as possible to make their lives in Britain intolerable in order to force them to leave without having to take what might be legally challengeable action to deport them. That this is a profoundly illiberal and even racist policy discriminating against people of non-British ethnicity should be obvious. It has, however, proved to be popular with a large section of the British electorate. The electoral success this policy is believed to have brought the Conservatives was one factor in establishing May’s reputation in Tory eyes as a successful home secretary, and was one of the reasons why she succeeded David Cameron as prime minister after the Brexit vote in 2016 forced him to step down. The policy of the “hostile environment policy” has, however, had the consequence of making victims out of some members of the so-called “Windrush generation” of immigrants, whose legal right to be in Britain is indisputable. These are people from the former British empire and Commonwealth who were formally given the right to settle in Britain by the British National Act of 1948, and who take their name from a ship—the HMT Empire Windrush—which brought the first group of such immigrants to Britain in 1948 from the British colonies in the Caribbean. In April 2018 it turned out that many of the records relating to these people had been “accidentally destroyed,” making it difficult for them or their children to prove their legal right to be in Britain. The result was that they got caught up in May’s “hostile environment policy” with pressure placed on them to leave Britain (“self-deport,” as it is called) with threats that they might be deported if they did not. When the scandal broke—in large part because the opposition Labour Party made an issue of it after it was leaked from a Home Office source to the media—a public apology was forced from the British government, and Amber Rudd—May’s successor as home secretary – was forced to resign. However, the prime minister, the actual author of the “hostile environment policy” which was the cause of the scandal, has emerged unscathed. This scandal has developed concurrently with a parallel one of alleged anti-semitism in the Labour Party, which is quite clearly targeted at the party’s leader, Jeremy Corbyn. It is based on claims that Corbyn—who has a well-established record of outspoken support for the Palestinian people’s struggle for their rights—has tolerated or even fostered a culture of anti-semitism within the Labour Party. There are even occasional insinuations that he is an anti-semite himself. It should be said clearly that the insinuation that Corbyn is an anti-semite is malicious and absurd. Corbyn has an outstanding record of anti-racism, and this has included a history of strong opposition to anti-semitism. As for the allegations of anti-semitism by some members of the Labour Party, some of these allegations have substance but some appear to be legitimately contested, whilst all of the individuals involved have been marginal figures who carry little weight in the Labour Party. Their number has been tiny. Corbyn himself has moreover strongly condemned manifestations of anti-semitism within the party, and those who have been accused of engaging in it have been subjected to disciplinary action, and where the allegation has been proved, have been expelled. Corbyn: Terror for the Establishment. Nonetheless the anti-semitism campaign against Corbyn has been waged relentlessly for weeks, gaining huge publicity in the media, with Corbyn himself being the primary target of the attacks. The anti-semitism campaign against Corbyn has, moreover, been waged far more relentlessly, for much longer, and with far more publicity, than has been the Windrush affair. This is despite the fact that the Windrush scandal has materially affected large numbers of innocent people, whilst the anti-semitic statements of a very small number of marginal figures in the Labour Party have so far as I can see materially affected no-one at all. Though anti-semitism should be shown no tolerance, it is impossible to avoid noticing the contrast between the relentless and unjustified criticism of Corbyn over the anti-semitism issue, and the gentle treatment of May over the Windrush affair. The reality is that today’s Britain has become a profoundly illiberal place. (3) pathological hostility to Russia. 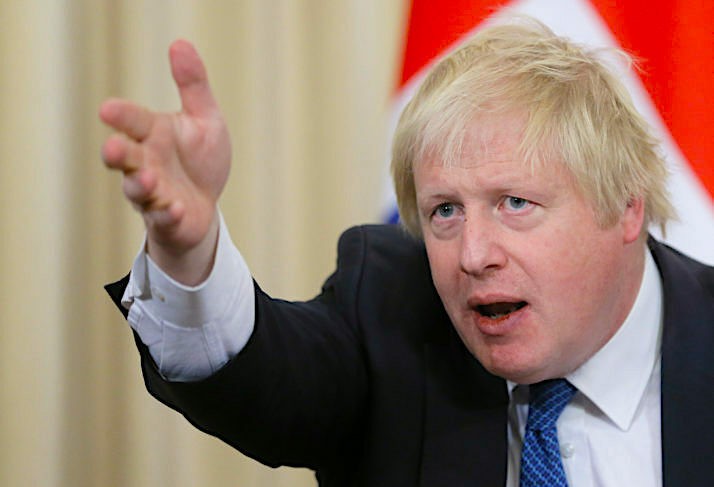 Even an issue like Brexit is often framed around these orthodoxies, with establishment opponents of Brexit blaming Russia—absurdly—for the result of the Brexit referendum, and opposing Brexit because it supposedly serves the interests of Russia. 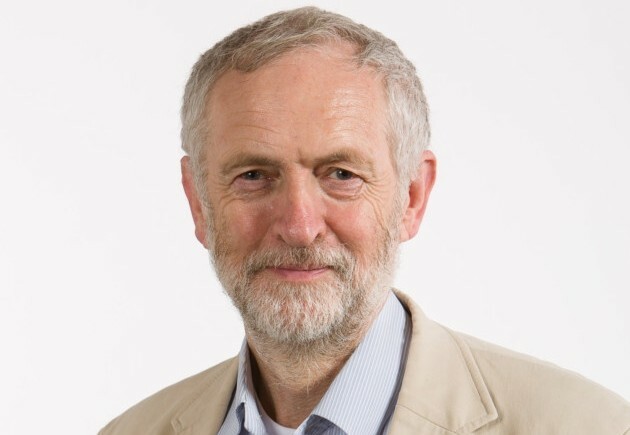 Someone like Corbyn, who disputes these orthodoxies with his long established criticisms of the City of London, his refusal to join the rush to judgment against Russia in the Skripal case, his staunch opposition to all the regime change wars, and to the recent Syrian strike, is guaranteed the intense loathing of the British establishment, which manifests itself against him literally every day in defense of its threatened interests. This disturbing picture does, however, come with a glimmer of hope. Thursday’s local elections in Britain once again emphasised an essential truth, which is that the British establishment’s hostility to Corbyn and what he stands for is clearly not universally shared by the British public. Both the Conservative and Labour Parties significantly increased their votes as compared to 2014, the year when these elections were previously held. In the case of Labour, that remains a remarkable fact given the almost universal media hostility to Corbyn. The reality is that since 2015, when Corbyn was elected Labour’s leader against the strong opposition of the leadership of his own party, Labour has electorally consistently outperformed expectations, most spectacularly in the general election last year. The breakdown of the local council vote suggests that if a general election were held this year, Labour would beat the Conservatives and would emerge as Britain’s largest party. Needless to say, this is not how the British media is reporting the local council election results. On the contrary, all the talk is of how the local election results were supposedly “disappointing” for Corbyn because he did not achieve the impossibly high targets the media had set for him. In light of the establishment’s hostility to him, and how his successes routinely get called failures, that should surprise no-one. In reality, the local election results reinforce the view that, electorally speaking, the British establishment is living on borrowed time. Hannibal – otherwise known as Jeremy Corbyn – may not yet be at the gates, but he is drawing closer. Alexander Mercouris is a political commentator and the editor-in-chief of The Duran. So why is Putin “allowing” Israel to bomb Syria?